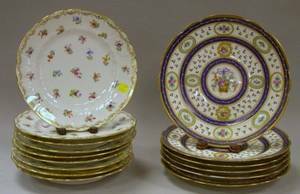 Nine Dresden plates, 8 3/4" dia. 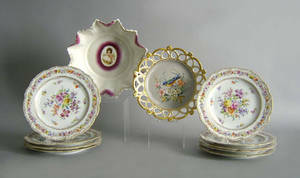 , together with 2 painted porcelain bowls and a Royal Doulton toby mug. 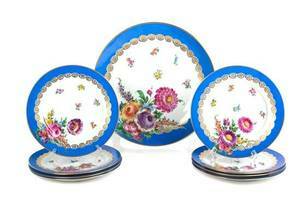 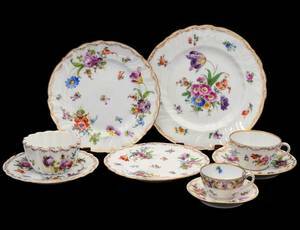 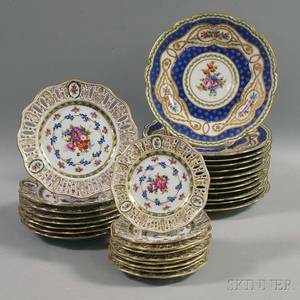 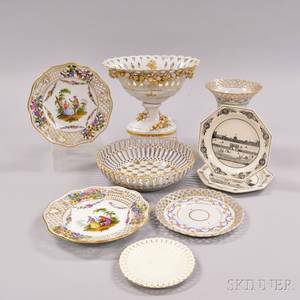 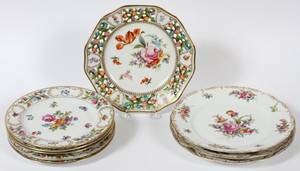 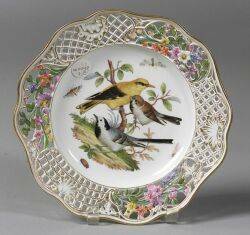 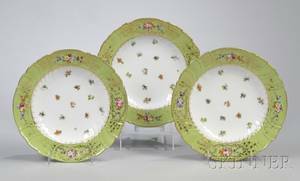 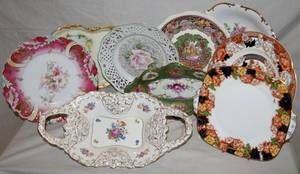 DRESDEN PORCELAIN PLATES, NINE, DIA 8 1/2"-9"